After experimenting with the applet, what do you know to be true about the sides of equilateral triangles? 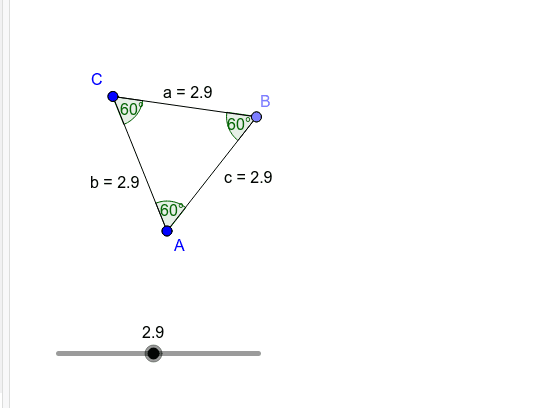 Although not a focus here, what do you also notice about the angles of equilateral triangles? Think about the following statement. Justify why it is true. All equilateral triangles are isosceles triangles, but not all isosceles triangles are equilateral.